We have the Titles and "TOTAL DOG AWARDS" to prove it !! "Pedigree indicates what the animal should be. But performance indicates what the animal actually is." WHY IS BIJOU POODLES SO BUSY ? 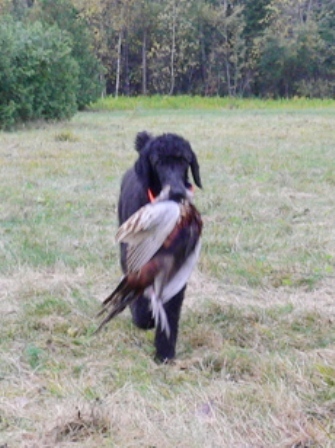 Retrieving, Lure Coursing, Nose Work, Barn Hunt and we attend Training seminars and classes. 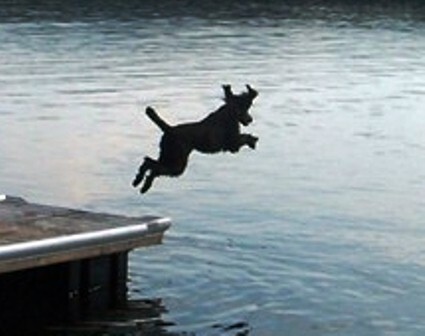 Each of our Poodle kids seem to have a different Dog Sport they enjoy doing. 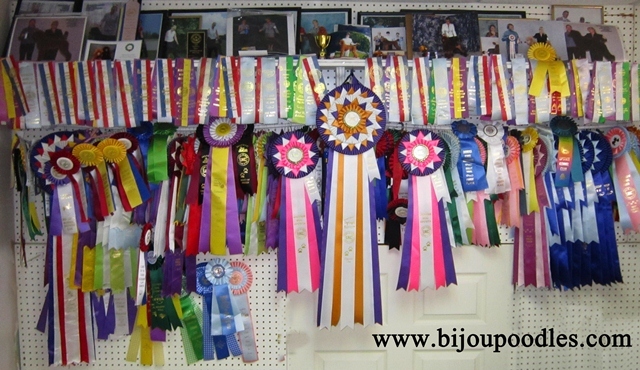 We compete in American Kennel Club (AKC) and United Kennel Club (UKC) and Canadian Kennel Club (CKC) Events. Because we have more than just one dog, training is very time consuming and it is a daily commitment on my time. I try to get to training classes, or work with friends, to hone our skills or learn new ones. Because I have a coated breed, my time is also spent doing some basic grooming to keep our poodles in tip top shape. as people looking for pets, don't care about titles and costs you so much money". and also care about what kind of breeder that their puppy purchase is supporting. 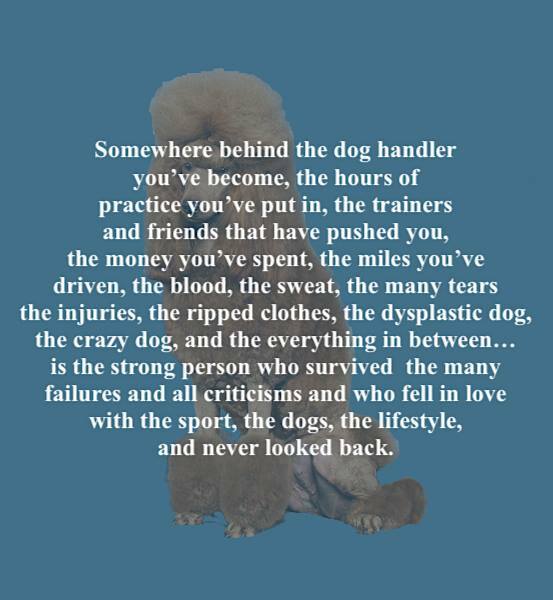 Our Poodles each spend tons of 1 on 1 time with us daily, and the many titles they achieve prove this fact. 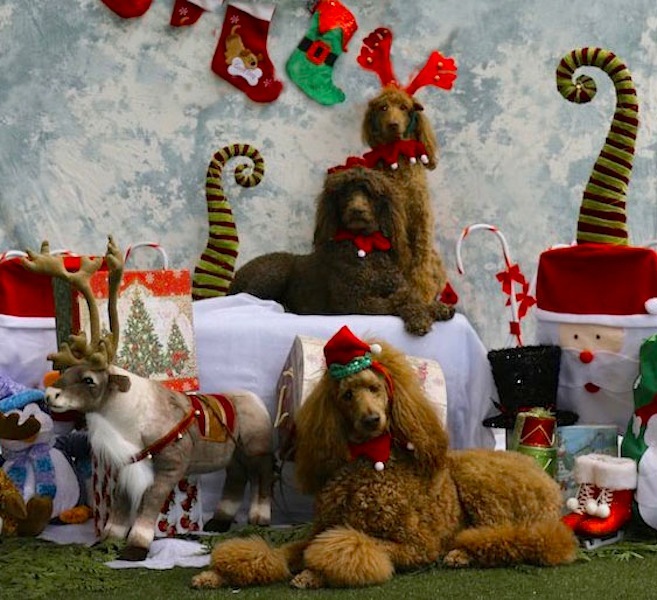 As do the up to date photos and videos on each of our Poodle's web pages. we have the UKC TOTAL DOG AWARDS to prove it !! 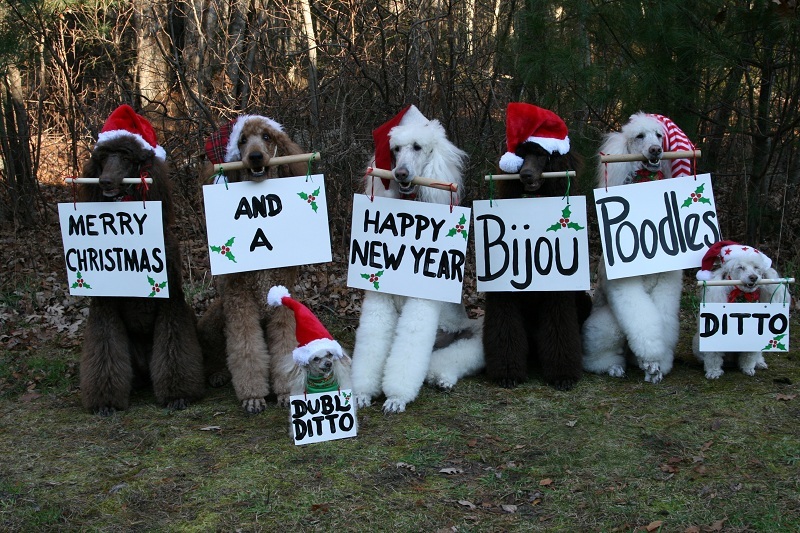 Bijou Poodles offers our puppy people the Total Package. in Health, Looks,Temperament in the puppy you are investing in and to support a reputable Breeder ? puppies for the public like a pet store. keeps my poodles mentally stimulated, happy and also gives us individual quality time together. assures me I'm making the right choice for my Poodles. 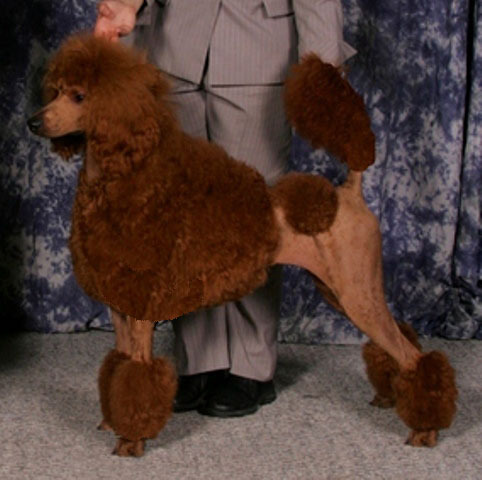 I also want to prove that the poodles I own and Poodles that I breed are worthy of being reproduced. that are characteristic, for the the Standard Poodle breed standard. 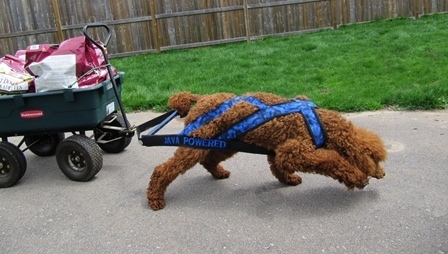 helps me prove my Poodle's ability without a doubt. peddling my pups to people interested in a Bijou Puppy which would be 20-100 a day. I would never have any quality family time or time just relaxing with my fur kids. I prefer to spend all my time off of work, having fun with my Poodles. appreciate the time, research, effort that I put into each puppy and or litter that I produce. 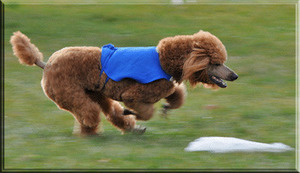 They will also see our Poodles in person in public and out of their comfort zone of being at home. I prefer my communications through emails so that I can respond to people within 24 hours when I have down time. to be able to produce a superior Poodle puppy that would make a welcome addition to any home. and is proof of the quality of lineage our Pups come from. 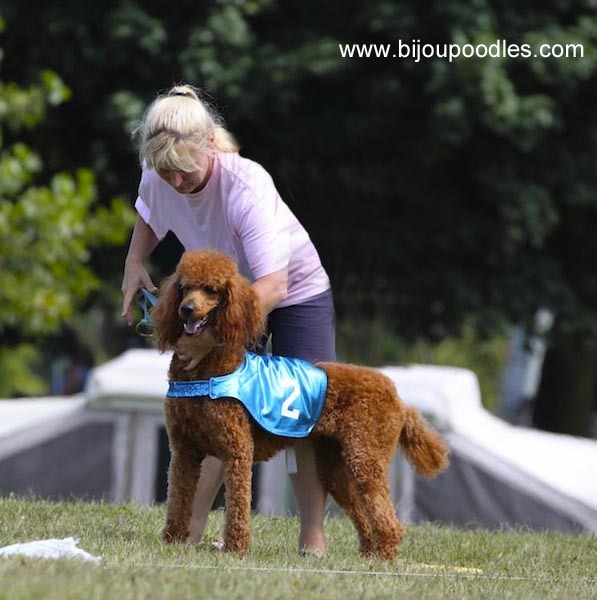 ~ 7 UKC CA Titled (Coursing Aptitude Titled) Standard Poodles FIRST IN HISTORY !!! 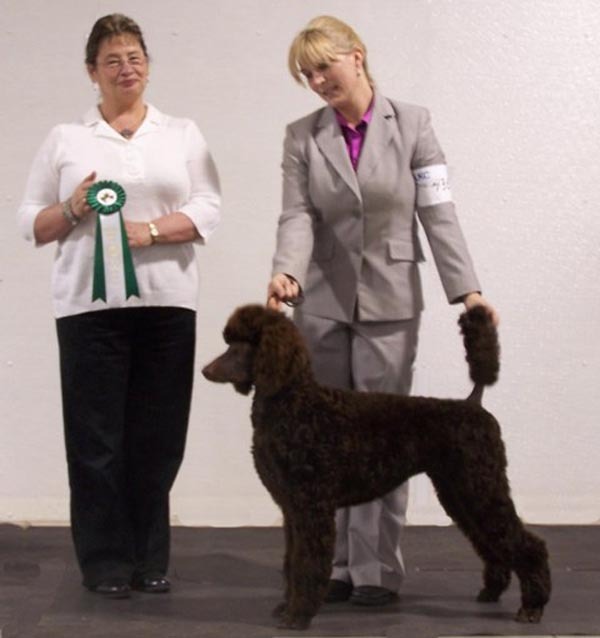 ~ 3 UKC CAX Titled (Coursing Aptitude Excellent title) Standard Poodles FIRST IN HISTORY !! 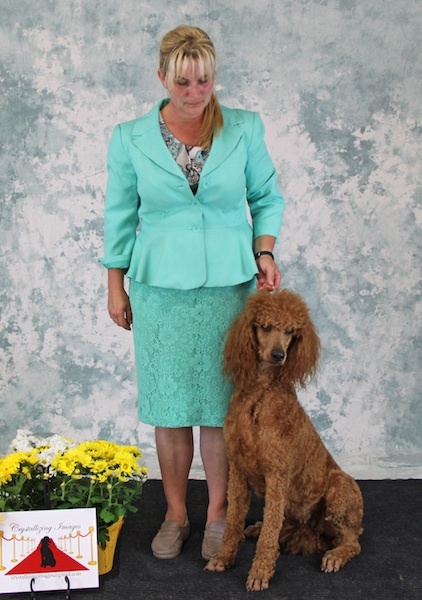 ~ 3 AKC CA Titled (Coursing Ability Title) AKC's First Standard Poodle IN AKC HISTORY !!! GrCh. Bijou's Valor under Fire of Mithril, URO1, 2x TOTAL DOG AWARD !!! Ch. Bijou's Majestic Red Rose, URO1, URO2, URO3, 2x TOTAL DOG AWARD !!! Champion - "Bijou's Daring Red Revolution"
BPIS, Grand Champion "Bijou's Cherry Blossom"
Grand Champion "Palmares Paris to Mithril"
URO1, Champion - "Bijou's Flair for Majestic Red"
URO1, URO2, Champion - "K-Lar's Dream of Java"
URO1, Champion - "K-Lar's Chocolate in Abstract"
Champion - "K-Lar's Hershey Wins Again"
Champion – "K-Lar's Brown Bruno"